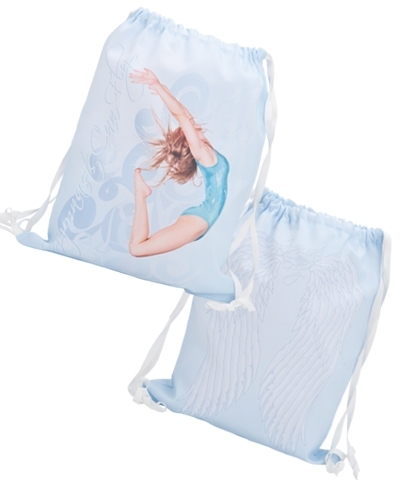 The Gymnast Can Fly Back Pack is 14" x15.5" and is constructed of 150D polyester. Gymnast Sheep Leap on one side. 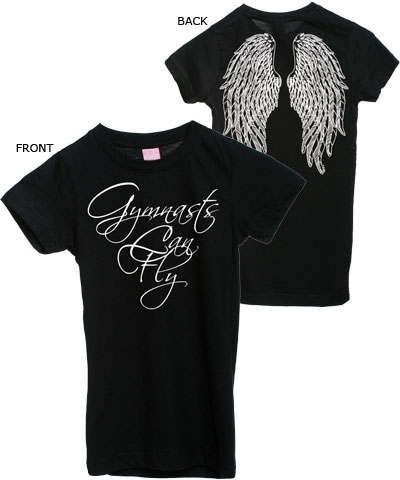 Angel Wings on other side. Not a book bag-it's for your little stuff.